Working with your significant other from a shared home office, when done right, can be a great way to enhance your relationship and share a personal and professional space together. According to recent research, more and more people are working from home both full and part-time. A 2018 report from FlexJobs found that 3.9 million Americans now work from home at least half the time. That trend is expected to continue to rise in the future. The same report found that hiring managers are forecasting that more than one-third of employees will work remotely in the next 10 years. 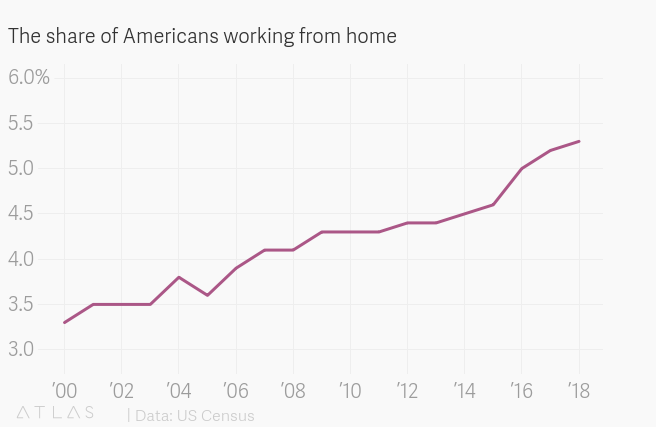 Recent Census data also shows that more and more Americans are working from home each year. No matter what type of work you and your spouse are doing, the challenges of working where you live are largely the same. Read on to learn six tips for overcoming the common challenges of working from home with your spouse, according to couples who do it every day: our very own franchise owners. 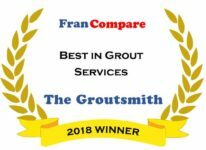 Our franchise opportunity, The Groutsmith, is designed to work perfectly for two from home, which gives us the unique ability to share their advice and best practices with you. Want to learn more from our franchise owners? Grab our free Q&A guide, filled with advice for those considering a franchise here. 1. Separate your workspace from your living space. In general, it’s best to avoid working in the spaces you like to relax and live outside of work. When work life spills into your personal space, the line between work and non-work can get blurry. If you have the space, designate a separate office just for work. This gives you and your spouse a distinct, physical threshold to cross when your workday is done. 2. Create office hours for each other and stick to them. Whether you’re running a home-based business (or franchise) together, or simply working separate jobs in the same space, chances are one, if not both of you require at least a chunk of the day to focus on work on your own. Designate individual “office hours” so each person can have time to work uninterrupted. Get into the habit of respecting them. The fewer interruptions each of you have, the more efficient you can be together. This is especially valuable when one or both of you need to juggle work, childcare, and other chores. 3. Take breaks and plan activities beyond your workdays. Don’t let your relationship be completely defined by a rigid work schedule. 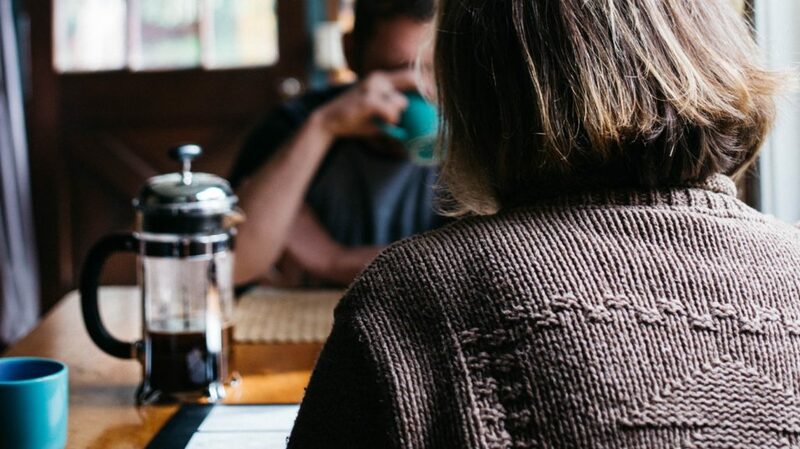 Whether it’s scheduling lunches together or breaks during the day, make time to retain a close connection that goes beyond work, regularly. If possible, avoid talking about work during these times. Take a walk to refresh your mind, grab a bite to eat, and make weekend plans when each of you has free time. And don’t just say you’re going to take breaks; schedule them into your work calendar and treat them as important as you would a work engagement. Having time like this together is a huge advantage of working from home––take full advantage of it! 4. Work offsite, when you can. While a normal work routine is healthy, letting it become monotonous and tiresome is not. Once in a while, work away from the home office, whether it’s at a local coworking space, coffee shop, library, or another venue. Both people should be able to escape your home office once in a while to refresh yourselves. If you and your spouse are looking to start a home-based business together, franchise opportunities like ours naturally keep co-owners working together, in separate roles. Many couples running Groutsmith franchises, for example, designate one person to work out in customers’ homes during the workday, while the other manages work inquiries and other office-based tasks back at home. It’s a team effort that’s comfortably and sustainably designed for two. Learn more here. 5. Avoid unnecessary distractions and protect your autonomy. When possible, avoid interrupting your partner during the day if it isn’t an emergency. Schedule time to talk ahead of time––ideally through text or email. This is an increasingly important habit to get into as more and more distractions pull us away from our work every day. Couples that schedule time to discuss things typically find that they make better decisions as a result since they can offer their undivided attention. 6. Spend time with other people who make you happy to see your spouse. Living and working together in the same space can sometimes be challenging, even if you both love spending time with each other. Don’t let the constant contact dilute the magic of your relationship by getting on each other’s nerves. While it sounds a little strange, experts suggest planning your schedules to regularly get out and spend time with people you like considerably less than you like your partner. That way, you can be truly delighted to see them at the end of the day. Working from home with your spouse can be an incredibly rewarding and enjoyable arrangement that can enrich your relationship in ways other couples don’t experience –– but it takes a plan you’re both willing to stick to. Make space for one another. Be aware of each other’s sensitivities and respect them. Set physical and mental boundaries between work and life. These things sound simple, but they can make all the difference in your daily routine. Thinking about running a home-based business together? Consider a franchise built for two. Many franchise playbooks are built for two. When you buy a franchise, you get a proven system for setting up and operating your business. This is one of the main reasons people choose to buy a franchise instead of starting a business from scratch. Some franchisors set their opportunities up to fit two owners, making it ideal for couples. In these systems, roles and duties are split up and distributed among both people, making it clear who needs to do what. This way, both people can be sure they’re tackling everything that needs to be done without stepping on each other’s toes or letting important things slip through the cracks. Here at The Groutsmith, our franchise system is perfect for couples. While one person can focus on admin work at the office, the other can handle job estimates, technician assignments, and demos for new customers. What Does a Franchisor Look for in an Ideal Franchisee? Talk to us about how we can set you and your spouse up with a business model perfect to tackle together. Want to learn more first? Get our free Q&A guide below and learn Looking to learn what it’s like to own a Groutsmith franchise from eight real franchise owners.